With Round 1 in the books and a few surprise results to boot, Round 2 looks like dishing up a few intriguing contests that could set the tone for clubs vying for a top five spot. The first match of Saturday’s TIO Stadium triple-header pits two teams coming off a first-round loss against each other, in the form of Waratah and Tiwi Bombers. Waratah were beaten out the blocks by last year’s wooden spooners Palmerston in their season opener, while 2018 elimination finalists Tiwi Bombers fell to last year’s second bottom team in Wanderers. With the sides evenly matched and the Bombers pipping the Warriors to a finals spot last year by a single game, this Round 2 clash is set to be a belter with both teams out to gain their first taste of victory for the season. The Warriors will hope to sharpen up in defence having conceded 24 scoring shots last time out, with former Northern Blues American import Alex Aurrichio holding up the fort alongside the likes of Brock Orval – who was their best in Round 1 and can also run through the midfield. Tiwi have the AFL experience of former Demon excitement machine Austin Wonaeamirri, while the class of hard running midfielder Albert Tipungwuti and Essendon Academy Manager Harmit Singh will provide cool heads through the middle, hoping to bring lively forward Adam Tipungwuti into the game. It’ll be interesting to see who comes out on top here, with both sides surely keen to break their ducks and gain an early edge over a similarly-placed opponent. 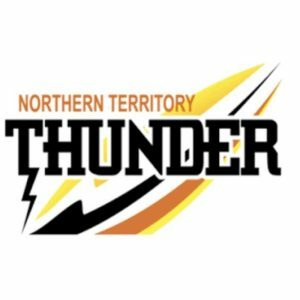 Premiers Southern Districts will look to continue their NTFL dominance on the back of a six-point win over fellow grand finalists, Darwin, when they clash with St Marys at TIO Stadium. St Marys were tasked with a tough introduction to the 2019 season with fixtures against last year’s top two home and away teams. This clash against the Crocs may prove to be an uphill battle, but if their fighting loss against Nightcliff in Round 1 is anything to go by, they are up for the fight. 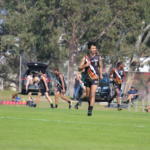 The Crocs possess former AFL talent in Leroy Jetta and Richard Tambling, but have in-form stars all around the ground. Forward Brad Vallance was key to their win last week with his three goals and will look to continue that form, while the likes of Lionel Ogden and Sam Smith made good starts from defence. For St Mary’s, the experienced Raph Clarke will hope to further his calming influence across half-back, with exciting 16-year-old prospects Maurice Rioli Jnr and Jacob Long slotting into pockets at either end of the ground. On paper this match-up does not seem like it will produce a thriller, but do not be surprised to see St Marys take it up to Southern Districts. The final fixture in Saturday’s triple-header sees last year’s second bottom side face the runners up under lights. The opening round results see either side’s form lines contrast in an unexpected way though, with Wanderers claiming a win at the expense of Tiwi, while the Buffaloes sit 0-1 having lost the grand final rematch. The Wanderers have a dangerous forward line, with the likes of former Gold Coast Sun Liam Patrick firing last week with his three goals, and Beau O’Connell dominating with four of his own. Add to that the experience of veteran Shannon Motlop and the exuberance of 16-year-old Joel Jeffrey, and you have the makings of another 30 plus scoring shot display. The Buffaloes are clearly no slouches though, with only the might of reigning premiers Southern Districts proving their downfall last week. They’ll still be confident in getting on the board for 2019 with exciting players on each line. Matt Campbell will hope to have an impact, while the likes of Adam Sambono, Bradley Stokes, and teenage prospect Malcolm Rosas should provide a spark not many teams can handle. Both defences should be busy, with Darwin hoping they can cut off Wanderers’ supply to their dangerous forwards by winning the midfield battle. Nightcliff hosts Palmerston in Sunday’s lone fixture for the round, with both sides holding a win after their respective season openers. Runners up in the regular season last time out, Nightcliff will hope to continue on with the form that saw them claim that position in 2018 after narrowly overcoming St Marys in Round 1. Meanwhile, Palmerston sit top of the ladder after matching their season wins tally from last season with a Round 1 win over Waratah. Trent Melville was one of three multiple goalkickers last week for the Tigers, booting the all-important two that saw his side over the line. Midfielder Jess Budarick was named their best, and will be hoping to continue supplying well for the likes of Kaine Riley and Liam Holt-Fitz up forward. The Magpies will be confident that the class of the Davey brothers, former Bulldog Ezekiel Frank and Northern Football League stalwart Matthew Dennis will be enough to pull them over the line once again, keeping them atop of the ladder and bettering their efforts of last year with just two games played. Almost polar opposites last time around, it should be an intriguing contest given the strength of both sides on paper, and will give a good indication of where either team sits.